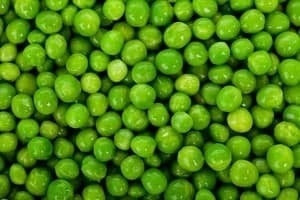 Peas are one of those vegetables that are woven into our everyday lives and culture. Remember the movie Forest Gump and the famous line, “Me and Jenny goes together like peas and carrots.” Yes, peas do seem to mix well with carrots. Do love to garden on your apartment balcony, but want a way to compost? Are you challenged for space in your garden area? You will want to read on as we will explore the army of crawlers that can help compost and transform your food and vegetable scraps into black gold for your garden. 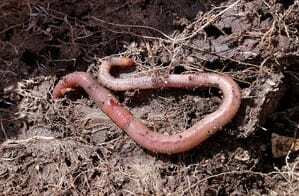 Vermiculture is the answer to many gardeners who seek a way to get beneficial microbes and worm castings into your garden soil. In this video Jeremy Starke from Green Thumb Gardener shows all about growing lettuce in containers or pots. He takes you the various steps of selecting the right soil for growing lettuce and demonstrates 2 different ways about how to plant lettuce seeds. 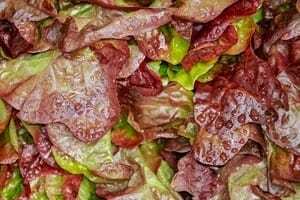 You will also the best way to grow lettuce from seed in a few easy steps that can be applied to growing in a container, pot or directly in your garden. In this video you will learn all the basics of growing lettuce in containers or pots. You will also learn you will also learn about growing lettuce from seed in containers. These are some simple ways on the best way to grow lettuce. You can apply these techniques if you are growing in containers or pots as well as growing in your garden. 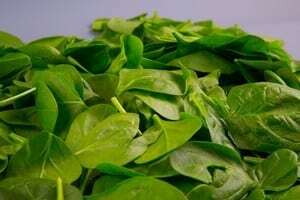 You can grow anything from Romaine lettuce too Mesclun or Arugula. Anyone can learn how to grow lettuce including your children as it can be so much fun. One of the simple ways of growing lettuce in containers is to just get started with what you have. You will find that growing lettuce can be a rewarding fun gardening adventure where you get some Romaine lettuce to eat. QUESTION- Have a question about growing lettuce in containers or how to grow lettuce? 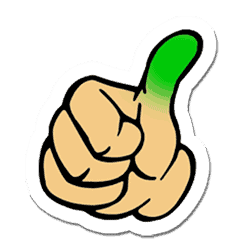 Post in the comments section of below your lettuce growing questions! Have you ever wondered what fresh taste like? Do you get sticker shock looking at some of the microgreen prices at the market? Jeremy Starke from Green Thumb Gardener gives you an update on the progress of growing carrots in a container. The actual carrots that were grown can be found here. Check out the original video of growing carrots in a container here. Jeremy goes over the entire process from selecting the best soil for growing carrots, selecting the correct container to plant carrots and the actual planting of the tiny carrot seeds in the pots. He shows you the 4-5 week progress update on growing carrots in a container. You get to see how large the carrot plant is and what the next steps are. Jeremy also discusses how to thin the carrot plants and some other optimal carrot growing container tips. QUESTION- Have a question about growing carrots in containers? Post in the comments section of this post! We show you the best way to grow carrots in a bucket. We walk you through how to grow carrots from seed in a pot. In this video, Jeremy Starke from Green Thumb Gardener (@gardenerthumb) shows how to grow carrots in a container. Grow Carrots In buckets could not be easier & simple. He shows you the best way to grow carrots in containers whether you are in UK or USA. He walks you through how to grow carrots from seed in a pot with simple easy steps. You can also grow carrots in 5-gallon buckets using this same method. These practices can also be done to grow carrots in your garden. I give you instructions for this easy and simple DIY worm bin. The compost bin used as a worm farm is perfect to compost vegetable scraps to turn it into healthy compost for your garden. Check out my previous post that gives you live look in on my worm compost bin here. In this video, Jeremy Starke from Green Thumb Gardener shows you how to build a worm compost box for composting. It is an easy and simple DIY worm bin project that will get anyone composting worms. These diy worm bin Rubbermaid containers can be used to create compost tea and used composting indoors. Building a worm bins is a fun project that your kids can do to teach them about vermiculture and composting. Red wiggler worms (nightcrawlers) used in this worm farm for vermicomposting were not harmed in the production of this DIY compost bin. In this video Jeremy Starke from Green Thumb Gardener shows you how to build a metal trellis that can be used for cucumbers, beans, tomatoes & other vining vegetables that climb poles. This DIY plant trellis idea is simple and easy to build with a trellis netting & metal poles. It is a perfect addition to keep your tomatoes trellis or any other climbing plants in your garden.